Over $150 million dollars in closed sales and rentals in New York City. Highest Gross Achiever in Riverdale office 2005-2012, Halstead Property. “Daniel was fantastic. Friendly, not pushy at all...genuinely there to help.“ - Sean C.
“Daniel brought energy and a positive attitude to marketing our apartment -- something that we did not see in other agents when we asked them to market our (somewhat dated) 1 br. He was a pleasure and was always careful to keep us informed. Most importantly, Daniel marketed our apartment so well that it sold faster than expected (two weeks) above our asking, in a soft market! What could be a better endorsement than that!“ - William S.
Upper West Side, Hudson Heights and Riverdale. Daniel is a proud sponsor of Broadway Cares, one of the nation’s leading industry-based, nonprofit AIDS fundraising and grant-making organizations. 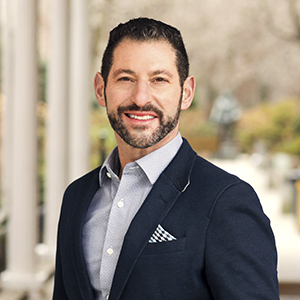 Daniel is excited to join Compass after 10 years at Halstead Property and 16 years in the business where he specialized in the Upper West Side and Riverdale markets. During this time, Daniel successfully sold over 200 co-ops, condos, new developments and private houses. His ability to work with different buyers and sellers in various markets has yielded many referrals and repeat business over the years. His experience, passion and love for technology inspired Daniel to make the move to Compass and further expand his business in New York City and around the world. Daniel currently lives in the Lincoln Square area of the Upper West Side and enjoys practicing Bikram Yoga frequently. A lover of the Arts and a former Broadway dancer, he can be found supporting a wide array of institutions and performances in and around the city. Daniel feels that his experience and genuine ability to listen to his clients, has proven time and time again to be one of his greatest strengths that is a win-win for all.